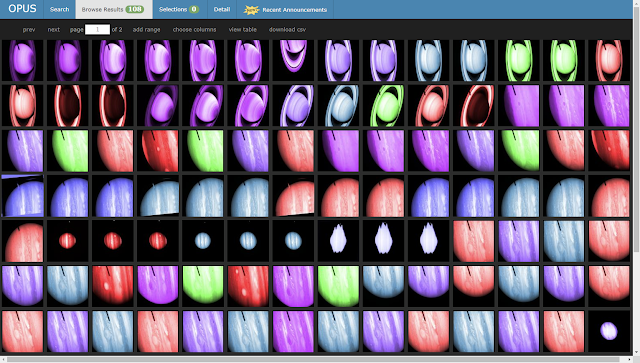 More than 6,000 solar system images taken by the Hubble Space Telescope have been added to OPUS. The majority of these images were taken by Hubble's Advanced Camera for Surveys (ACS) and Wide Field Camera 3 (WFC3), although there are also new images from NICMOS, STIS, and WFPC2. Most new images are of Jupiter and Saturn, but there are also new images of Uranus, Neptune, Pluto, and even Earth's Moon.